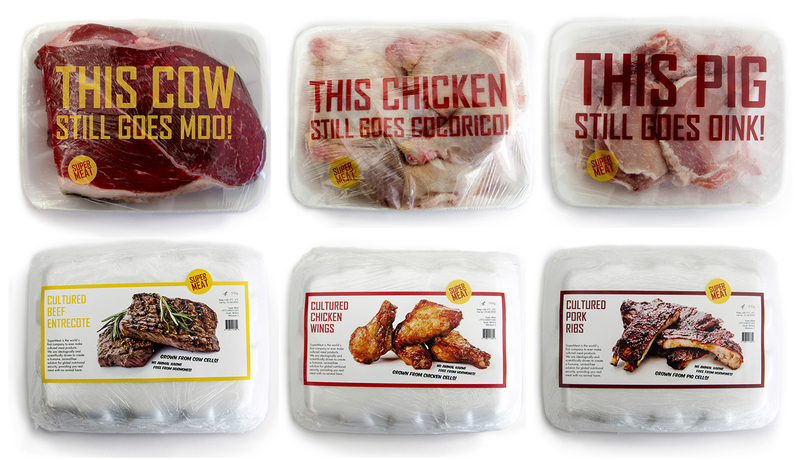 The project is a branding of "Super Meat" company, which is currently developing cultured meat from animal stem cells. During the preparation process, a stem cell is taken once from each animal in a way that does not harm the animal itself. Thus, the meat remains identical in taste and does not require animal slaughter. In few years from now cultured meat will take its place on the market and change the meat industry forever. The public's views are contradictory - many support a process that will free the animals from their suffering without causing a change in our way of life. On the other hand, many argue that the cultured meat is "too strange" and "not real meat". 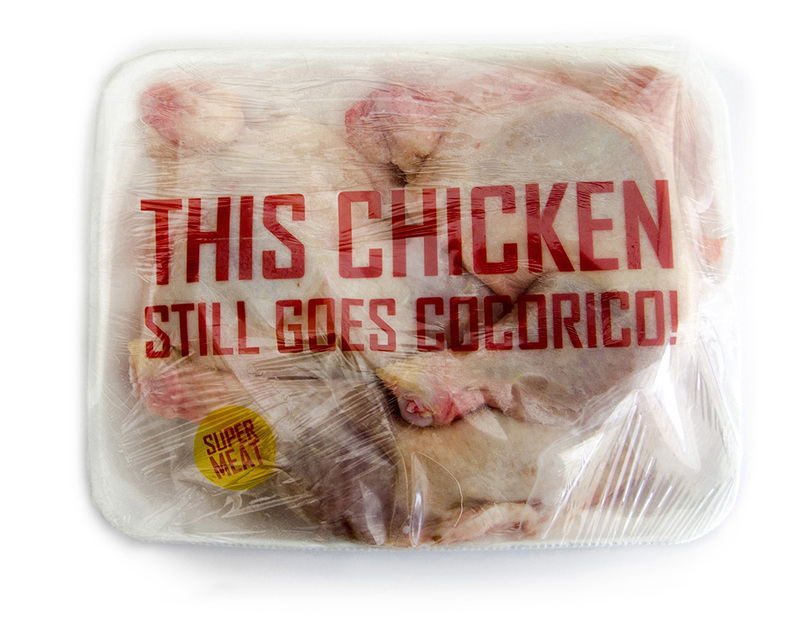 The design is intended to refute the claim that the cultivated meat is "too weird" and "has laboratory taste", and make the consumer feel that it is the same delicious meat he is used to, and even with an added advantage - the same delicious meat without any feelings of guilt. 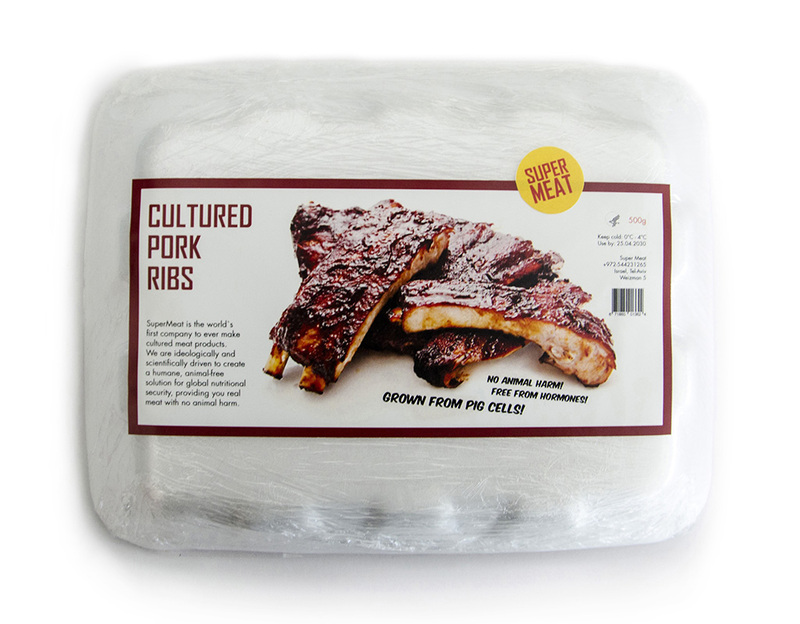 The packages (beef, chicken, pork) are made of polystyrene as the meat packages we know, showing us the meat inside so we can see how it looks like- exactly like the tasty meat that we all know. "This cow still goes moo!" 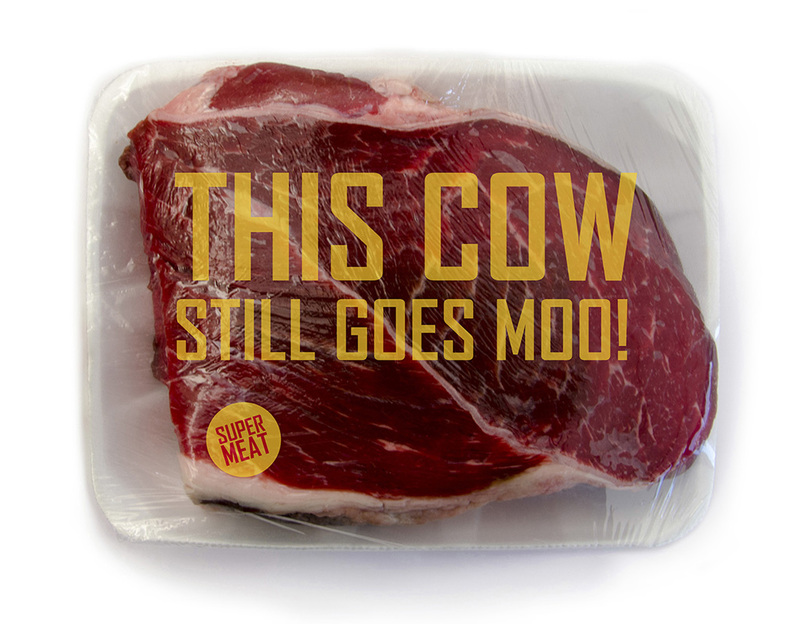 means just what it says- as we eat this beef made out of cow, the cow continues to live. 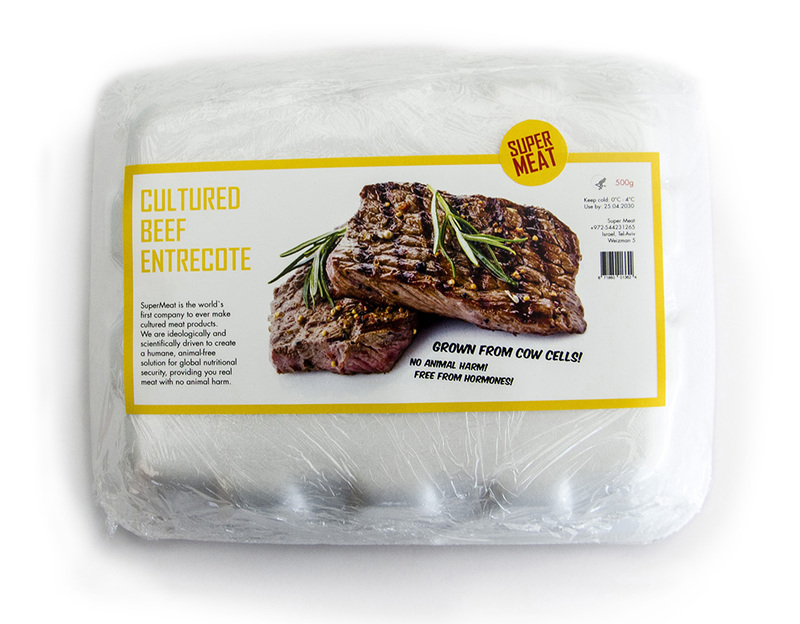 We only use the cow's stem cell, so we get the same tasty meat without hurting the cow, how amazing is that? 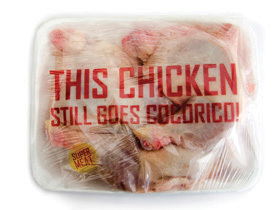 The packages look appealing and tasty, even thought this food was made in a laboratory. 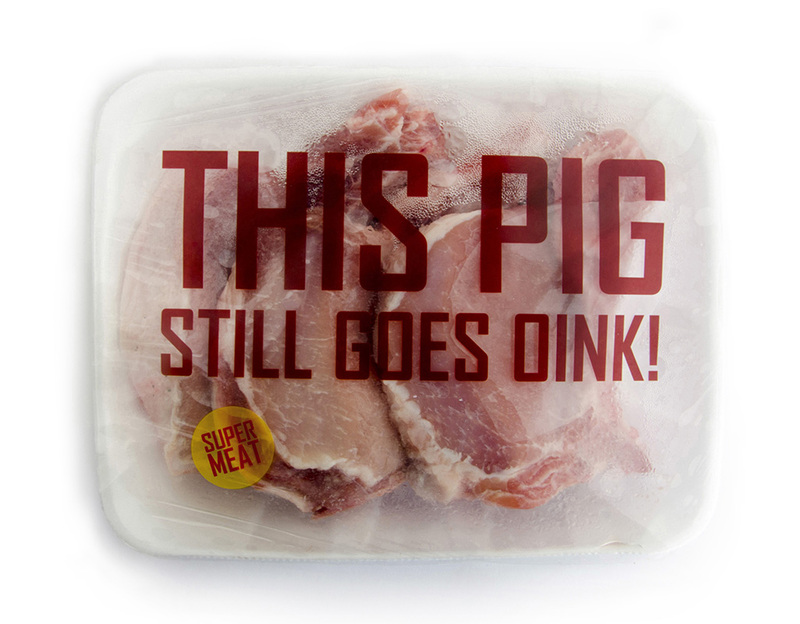 The design is very straightforward and the packages are surely sticking out among other meat packages on the shelf. 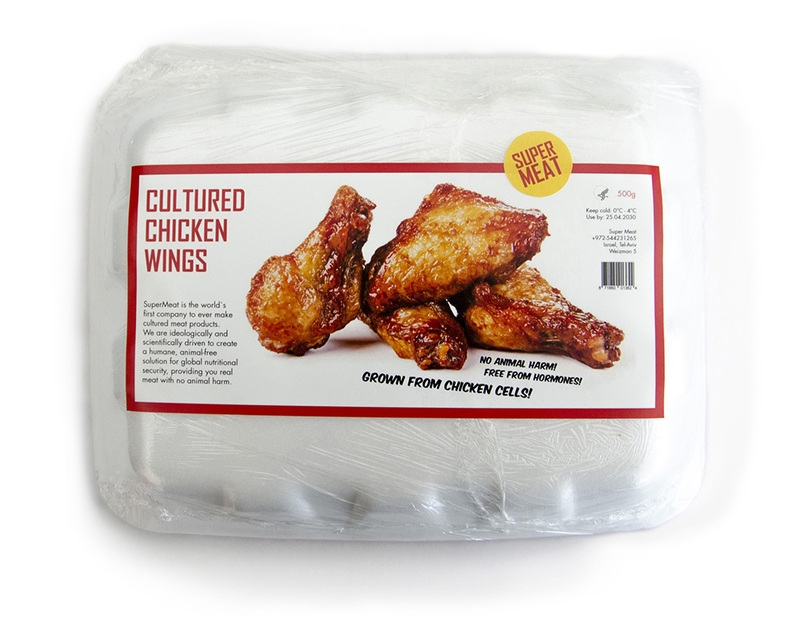 The copywriting on each package is like a slogan, catchy and memorable, making the costumers promote the message of the brand.